More and more Americans are starting side hustles to earn money for a variety of reasons, such as paying off debt, being able to travel more, helping to make ends meet, or simply because they have a true passion for a craft or industry. 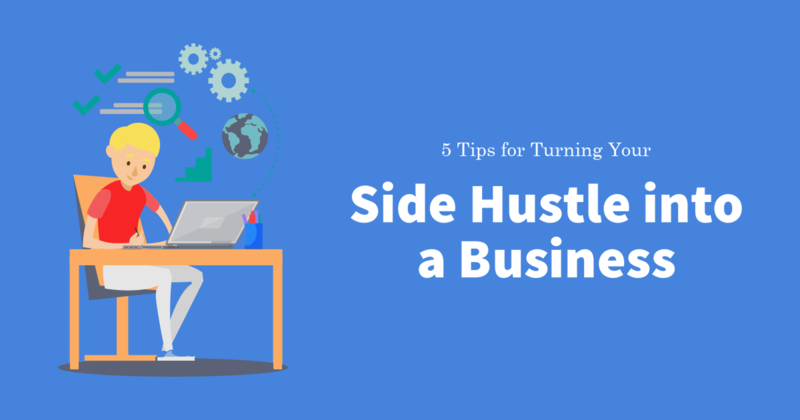 Regardless of why you started your side hustle, if you’re ready and excited to turn it into a business, you’ll want to check out this infographic. There’s a ton of information out there about what you need to do to start a business — the sheer amount of which can be downright overwhelming. Focusing on these 5 helpful tips will lessen some of that initial fear, getting you started on the right path toward a successful business. Copy and paste this code to share this on your site.